Animals play a big role in our lives and our close relationship with them is reflected in the language and culture. Questa sera vado a dormire con le galline perché sono stanchissimo. I am going to bed very early because I am terribly tired. Se dovessi cantare, farei ridere i polli. If I were to sing, people would crack up with laughter. Mio fratello, che ha sempre avuto una scrittura da gallina, ha benedetto l’arrivo del computer. My brother, who has always had a terrible handwriting, has welcomed the advent of the computer. 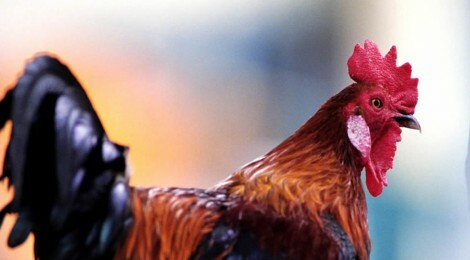 Pensa di essere furbo, ma ha proprio il cervello di una gallina. He thinks to be clever but he is really silly. Purtroppo, spesso i turisti sono visti come polli da spennare. Unfortunately, often tourists are seen as easy prey for swindlers. Secondo me dovresti accettare l’offerta; meglio un uovo oggi che una gallina domani. In my opinion, you should accept the offer; a bird in the hand is worth two in the bush. Scherzando sui suoi 31 anni, Valentino Rossi celebra il suo nono mondiale indossando una maglietta con la scritta: “Gallina vecchia fa buon brodo” (ottobre 2009). Making fun of being 31, Valentino Rossi celebrates his 9th world title wearing a T-shirt which says: “Old hens make the best soup” (October 2009).